Hi friends! I have been INSANELY busy over here with the beginning of year SIX! My kiddos came back last week and I don't think my head has stopped spinning since! I am here to talk about how I use my absolute FAVORITE app in the classroom!!! Shout out to Glitter Meets Glue for this insanely cute Insta icon!!! I absolutely LOVE Instagram. It is my favorite form of social media, mainly because it is so easy to post, comment, and scroll through your Instagram feed. No reading long posts, no taking hours to WRITE a post, and of course a great way to connect with others! I use this in my personal life as well as the teacher blogging world. And last year, I started using it in my classroom as well!! Pretty easy! 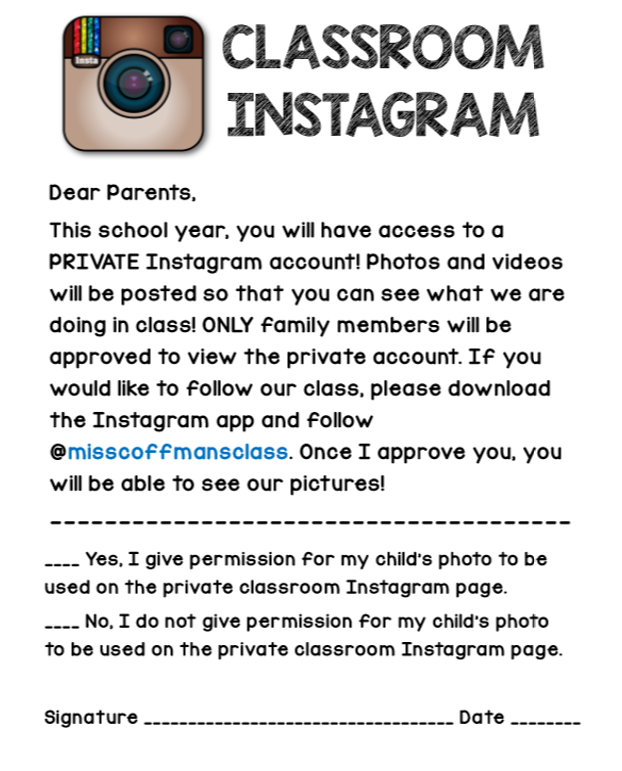 As the permission slip says, the account is obviously a PRIVATE account. I will only accept parents/guardians and I must be able to tell that it is their account. Otherwise, I will not accept the followers. Once I get all of these back, I'm ready to start posting! I typically post pictures a few times per week and make sure to get all of my students in photos or videos. Many of my students get a kick out of me pulling up the Instagram on our Interwrite Board as well and love to see themselves hard at work. Again, shout out to Glitter Meets Glue for the adorable app icon! I printed it poster size for my bulletin board and couldn't be more excited about how it looks! Hopefully by the end of the school year, this board will be FULL of great memories! 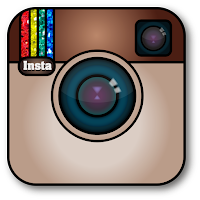 Do you use Instagram in your classroom? If not, try it out this year! I promise you AND your parents will love it! So this is totally awesome!! A couple of questions came up as I was reading this. Did any of your parents say no? If they did, how do the students feel not to be included on your wall? Although I guess I would just take pics and post them on the wall anyway. This isn't a special way to do instagram, or a special account, right? You are just controlling who the followers are? I love this idea. I just want to make sure that my familie's privacy is protected. I'm not very tech savvy so I'm asking someone who obviously is ;). 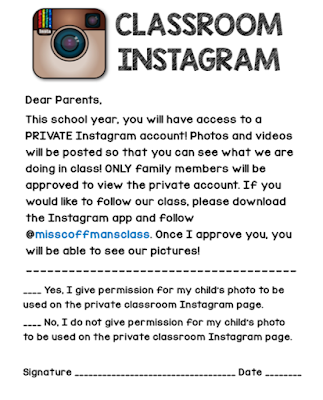 I don't post to IG, but do request permission to post to our class website, my blog and my FB page. Those that say no, and I've only ever had one....their pics still get posted to our classroom wall and mine don't know the difference because they aren't on my FB page or blog and my website is for parents. The article captivates the attention of the readers on how to get followers on Instagram. Aquire followers on Instagram by visiting this site https://www.buyrealmarketing.com/. Instagram is another of the many social networking sites operating out on the web today. It is a platform where you can share your photos privately or publicly. Now, if you want to reach out to a wider audience, you have to start collecting your Instagram followers. Here are a few legit and tried and tested techniques to get Instagram followers fast. Connect your Instagram and Facebook accounts to improve your marketing power. Nowadays, you can have an Instagram tab on your Facebook page. This allows you to share your Instagram posts to your Facebook followers if you have a fan page. But what happens when you find yourself without enough time to spend on your account? simply click over here If you don't waste your much time in your account. Do your exploration and discover when that top time is for your devotees. This makes it destined to see commitment from your gathering of people when you post.